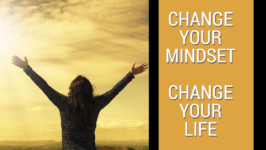 Do you realize you can change your mindset and change your life? In researching this article, I was stunned to find myself a bit stuck in the “fixed” mindset. I was comfortable accepting the “status quo” and not believing I could change. I was almost content to be “me,” not realizing there was a better me just waiting to be. 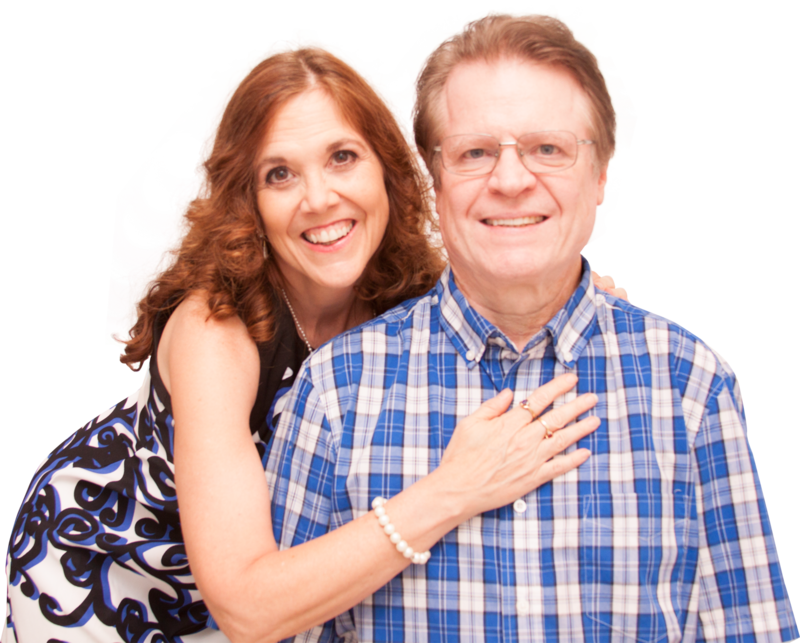 This is just another reason why we love the home business industry so much. There is so much emphasis on the importance of personal development. We are encouraged to spend time daily on ourselves – gaining the confidence, knowledge, and skills we need to be successful entrepreneurs. We are always being told by mentors and trainers to have the “right” mindset. But what does that mean? In this article, we’ll consider the fixed mindset and the growth mindset, two terms we hear about when it comes to how we run our businesses. We will learn how to change your mindset and change your life. First, we should define what we mean by mindset. A mindset is the way we look at problem, the way we think through a problem, and the way we try to solve a problem. It is the “HOW” we do those things that either moves our business forward or keep us stuck. If you have a fixed mindset, you might say you think the way you do because you were born that way. It’s in your DNA to think that way, just like your brown eyes, for example. You don’t want to admit you are wrong or don’t know the best way. You are either great or you are not. If you are struggling, you will look to those who are worse off than you to make yourself feel better. You will try to hide your deficiencies instead of fixing them. You are content with who you are. If others don’t accept you, that’s their problem. You look for people who respect you for who you are. Setbacks in life will define you and keep you stuck. If you have a growth mindset, you might say your way of thinking is constantly changing and improving because of what you are learning. Just like you work out your muscles at the gym to get stronger, you can strengthen your mind and grow with a little effort. You love to learn and are energized by improving yourself. You are great because of the actions you take. In addition, you are always working toward improvement and not allowing yourself to be defined by your failures. You will be passionate about stretching yourself to test your boundaries. You will want to be the best you that you can be. Setbacks are motivators to improve and overcome. Here’s a statement to consider: “You can learn new things, but you can’t really change your basic intelligence.” — Simply put, if you agree with that statement, you tend toward a fixed mindset; and, if you disagree, you tend toward the growth mindset. Benjamin Barber said it well, “I don’t divide the world into the weak and the strong, or the successes and the failures. I divide the world into the learners and non-learners.” Which one do you want to be? Those who succeed in business are those who are open to new possibilities. Change comes when we desire it, seek it, and embrace it. 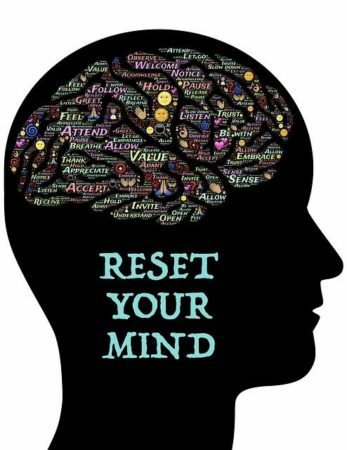 If you are in a place where you are stuck and not moving forward, changing your mindset may be the little tweak that it takes to change that reality. Perhaps it will be as simple as changing your perception. Are you willing to get rid of what is not working (your old way of thinking) and try something new? Are you willing to seek education in your area(s) of weakness? For those with a fixed mindset, these questions can be devastating. You have a general stubbornness that assures you that you already know the answer. This “mindset” will block you from moving forward; after all, you can't change who you are. So, how do you change your mindset, so that you can in turn change your life? Understand you have control. All you need to do is take control to learn and educate yourself. One great resource we'd like to share is a monthly hangout, called ‘The Deep Abyss,” hosted by Diane Hochman. When you have the right perception and are headed in the direction of success, it will feel good, be inspiring, and you will grasp the truth of what is to come. Sometimes the truth will be a hard pill to swallow and you’ll resist. But you need to discern and realize that sometimes growth will not be easy. Step out in faith. Rely on a mentor’s wisdom that this is the right direction for you. Surround yourself with leaders who guide you and don’t judge you. You want a strong mentor, but not one who threatens or causes stress. Especially if you have been caught up in a fixed mindset, you don’t want to feel judged or rejected in any way. You need an understanding coach who will help you overcome your belief that nothing can or will change. You need to believe without a doubt that you are capable of growth and change. And, you need to want to change. Changing your mindset to change your life will be hard work. Mindset and business go hand in hand. Good, lasting relationships come from effort and working through differences. You will need to overcome the belief that “you are flawed and that’s the end of the story.” Indeed, you are flawed (we all are), but there is hope. Exercise. You are going to need to schedule this and stick to it. Some folks are best first thing in the morning. Some people will need an accountability partner to encourage them. The crucial step is to develop discipline to do it. You may need to push yourself because every part of you will try to talk you out of it. The discipline that you create to start the habit of exercise will be the discipline that serves you well in other facets of your business and life. You will be able to resist the extra piece of dessert, or even dessert in the first place. You will be able to say no to the video game console if you haven’t finished your chores, etc.If you’re like me, after a few months of an intense exercise routine, getting to the gym everyday and putting in good workout, I began to look forward to my exercise time. Seriously, I did. Now that I’m away from that gym, I miss those times, that intensity, the relationships you start to build with others getting themselves into shape! Challenge the Brain. 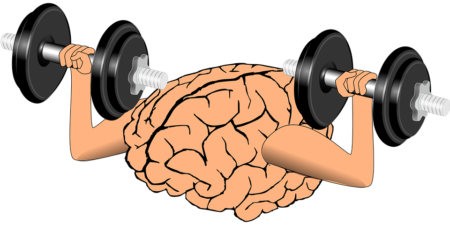 Your brain is like a muscle that needs its own work out. A habit that will serve you well is in two parts. First, you need to read something impactful, listen to a recorded message, or watch a video. There are many self-help books or personal development guides you may find helpful. Personally, what I find even more helpful is reading the Bible.You need to find a book or resource that works for you. Read a chapter or two each day, and then spend time reflecting on it. That’s part two, the reflecting—whether it be through prayer or meditation. Take time to really dig into what you’ve read so that it takes hold.Spending time in prayer or meditation will help calm you as well. If you are easily stressed out by your work environment, or the kids are just testing your last nerve, taking this extra time for you to relax and focus on something meaningful, helpful, or insightful will help bring you back to a healthy place. You are much more apt to grow into the best you possible when stress isn’t holding you back. Feel free to try and sneak other times in during the day to read and feed your brain with helpful knowledge. Fun tip: If audio works better for you, to listen to uplifting encouragement (maybe multitask with #2 Exercise), you can subscribe to the “MLSP Wake-Up Call” podcast to “Rewire Your Brain for Success.” Guaranteed to take away something positive for your mindset and business! 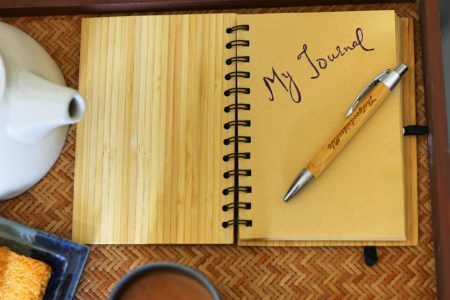 Journal or Write. This is an activity that will be easier for some people than others. It really flows nicely from habit #3, reading. In fact, it can be part of your brainstorming, meditation, or prayer following your reading. If you have a blog, your ramblings could turn into a great blog post. Maybe you are a gifted writer and your ramblings are ready for publication! Whether you post your thoughts or not, know that writing them down is powerful.If you’re struggling with something, write it down. Get it out of your head. By putting it on paper, you release some of the power that struggle has over you. There is a good chance you might even get the creative juices flowing to solve your problem. You will be much more open to learning, listening, and growing into the best version of you! Most Important To-Do List. One of the best new habits you can obtain to help yourself in business and life, and to change your mindset, is to have a to do list. I call mine my “Daily Mode of Operation.” These are tasks that need to be done on a daily basis. I’ve seen lots of checklists and spreadsheets, and some even give you points for each completed task to give extra incentive.The important thing is to go through the exercise of making a list of tasks you need to (or want to) accomplish each day. Maybe you create weekly tasks, too. What’s critical is to make sure ONLY important things are on this list. Overtime, this list will change as new things become important and other things are deemed as less important or of lower priority. You can even start to list them in order of importance, assign time limits, etc.This is your list. It is a tool you use to keep yourself organized. An organized person is a successful person, whether it’s in life or in business. Some of us are organized naturally, others of us struggle and a tool like this will really be key in changing our mindsets and empowering us to be more productive. We aren’t born with a mindset, like some of us would want to believe. We learn through experience, input from others, and our own self-talk how to think, what to think, and maybe even when to think. The important thing is that we DO think. Our mindset and business applications are also important. Wouldn’t you rather do business with someone who is open-minded, growing, and always looking for better ways to do things? How we manage our time can become one of the most important things we learn. 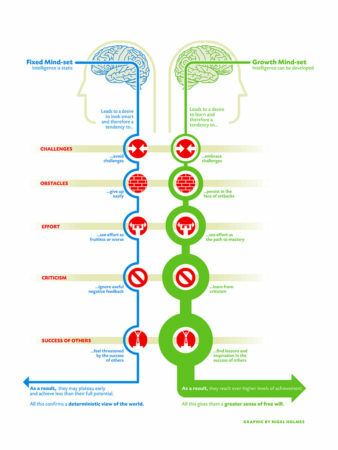 Creating a mindset for growth will be a natural and healthy way to do just that. If we learn some new habits to prioritize our time, we will find benefit in many areas of life. When we focus on ourselves a little bit more, striving for more wisdom, clarity and organization in our lives, our mindset can’t help but swing from a fixed mindset to a growth mindset. These habits are likely to be the very foundation of your success. May they serve you well. You will change your mindset and change your life. Get ready to meet the best version of you yet! P.P.S. – If your friends or team members could profit from a growth mindset, share this with them on Facebook. And please take a moment to like and comment as well! This post is mind blowing. I really needed this at this time before I enter the new year. I do my best to think and stay positive always, but at times I slip when things just don’t seem to go as planned . So reading this now is a great support to me. God richly bless you DavidnDana. Thank you, Emmanuel. We were glad to hear we provided some inspiration and encouragement!